James D. “Jim” Kleveland – Peterson Mortuary, Inc.
James Douglas “Jim” Kleveland, son of Ervin “Shorty” and Rozelle Kleveland, was born November 9, 1946 in Concordia, Kansas and passed away on July 1, 2018 at his home in Glenwood, Iowa at the age of 71 years. Jim grew up in Chester, Nebraska and graduated from the Chester High School in 1964. He attended Peru State College in Peru, Nebraska and was a member of the Epsilon Pi Tau, Inc which was an Honorary Professional Fraternity in Industrial Arts. Jim graduated in May of 1969 with a Bachelor of Fine Arts in Education as well as a Bachelor of Science in Education. Following graduation Jim taught Art at the Tabor, Randolph and Thurman schools in Iowa for grades K through 12 as well as teaching an evening Adult Education Art Class. 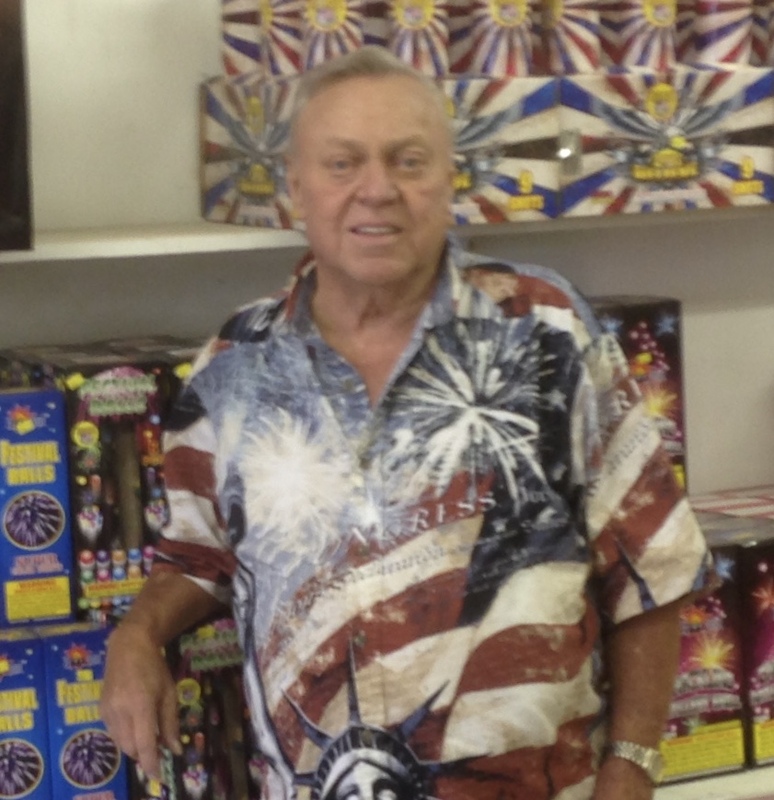 Throughout his college years and to this day, Jim continued to operate Kleveland’s Fireworks in Chester, Nebraska which he started in 1963 when he was a Junior in high school. In 1971 Kleveland’s Fireworks opened a location in Nebraska City which continued until 2009. Jim also started Graphic Arts Productions in Nebraska City where he put his artistic talents to work creating custom designs for signage as well as screen printed garments. In 2005, Jim relocated Graphic Arts Productions to his home north of Glenwood. Jim had a vast array of hobbies and he was forever expanding his interests much to the dismay of his wife, as he generally enlisted her help in completing his projects. He truly enjoyed gardening, bee keeping, raising border collies, collecting coins, knives and patriotic memorabilia. He loved making beef jerky, which became an annual tradition for his daughters and several nieces and friends, as well as making his annual batch of horseradish. Jim had a fascination with how things worked and he loved projects that involved building things. He enjoyed visiting with people, whether he knew them or not, and he would frequently be found on his ATV visiting the neighbors or delivering produce from his garden. Jim was preceded in death by his parents, two brothers Charles and Steve Kleveland, sister Barb Kasl, brother-in-law Don Kasl and brother-in-law Tony Gonzales. He is survived by his wife of 25 years, Jackie (Rodman) Kleveland of Glenwood, Iowa; three daughters, Kimberly (Michael) Grande of Knoxville, Tennessee; Kristine Shaner of Papillion, Nebraska; Kara (Joshua) Whitfield of Phoenix, Arizona; seven grandchildren, Payton and Alexander Grande; Skylar and Samuel Shaner and Julia, Travis and Dominic Whitfield; two sisters Charlotte Gonzales of Beatrice, Nebraska and Ramona Mumford of Omaha, Nebraska; many nieces, nephews, other relatives and a host of friends. A Celebration of Life will be held in Glenwood, Iowa as well as in Chester, Nebraska at a later date. Interment Glenwood Cemetery, Glenwood, Iowa at a later date. 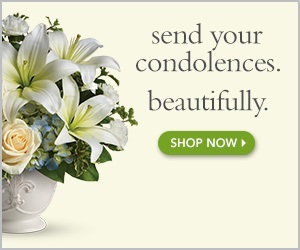 Jackie, so sorry to hear of your loss. Sending our deepest condolences to you and your families for your loss. Nothing we can say will lessen your loss but we hope your memories together will get you through the difficult days ahead. So many wonderful memories of our relationship through his work with us and the Clarinda A’s, always enjoyed our visits when we would pick up our orders. Blessings to the family..
We are so sorry for your loss and we send our deepest condolences. May all your happy memories help you through the difficult days ahead. Jackie, we are so sorry to hear of your loss. May the memories you hold in your heart, be the guiding light for you in the days to come. Sorry for your lost Jackie. I’ll keep you in my prayers. Our thoughts and prayers are with you. May your happy memories sustain you in the upcoming months. Jackie, so sorry to hear of Jim’s passing. Prayers for you and your family during this difficult time. Jim was such a great guy, we always enjoyed visiting with him. Jackie, I’m sorry to hear of your loss. My thoughts go out to you and your family. Jackie…I didn’t realize that your husband was the same James Kleveland that was my Art teacher when I was in grade school. I always thought his name was spelled with a “C”. WOW! But I was just a kid at Randolph Elementary, and it’s interesting that I found this out now, as I had recently been trying to figure out where some of my grade school teachers were. I only wish I’d known it was him…I would have seen if he remembered me! He always gave me A’s and lots and lots of praise for my artwork. Please let me know when the memorial takes place. God’s Blessings to you! Hope you are doing well.